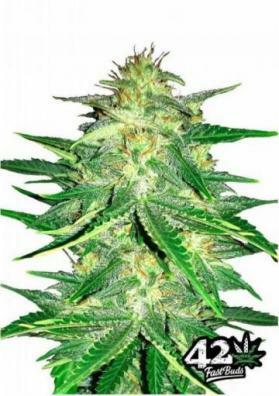 Smoothie autoflowering marijuana seeds are the newest strain presented by the Fast Buds Seed bank, the result of a careful genetic work. With a unique taste and strongly sweet, this strain is ideal for all growers looking for unique flavors in a short space and time. 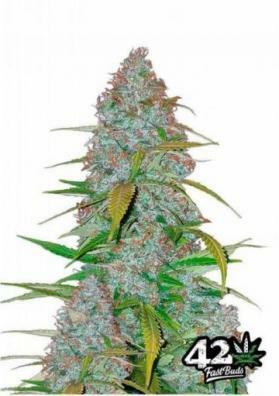 Smoothie Auto autoflowering marijuana seeds are a new strain of Fast Buds Seed bank, responsible for offering in Europe the best autoflowering seeds with 100% American genetics. In this case the guys at Fast Buds have dedicated themselves to look for the sweetest flavors they had available and cross them. So, they chose two very fruity genetics, such as Somango and Blueberry. The result is an extremely sweet strain, like an authentic iced smoothie that you will have to try. What is the structure of Smoothie Auto? Smoothie Auto has a compact structure, with some lateral branching. It produces low size plants, which are no taller than 110 cm which makes them ideal for indoor growing in SoG. Outdoors is a very suitable plant for guerrilla crops and balconies where space is scarce. It is a plant that with a little LST can get results and even higher yields. How much does Smoothie Auto produce? This strain has a high yield, but the bank does not specify values. What we do know is that we can expect a yield of about 600 grams per square meter indoors and outdoors, with more than 5 hours of sunlight, its production can reach 200 grams per plant. What effect does Smoothie Auto produce? The power of Smoothie Auto is high, with a very high THC level. Its effect is both physical and mental, so it is a plant that starts with a euphoric and mental effect and then transforms into an intense and pleasant relaxation. Ideal for smoking during the day and sharing with friends. At a medicinal level is a plant that can be applied to combat migraines, AIDS, cancer, pain, sclerosis, nausea and glaucoma. What does Smoothie Auto taste like? The taste and aroma of Smoothie Auto are the main reason for growing this plant. It is a real ice cream of sweet and intense fruits, in which blueberries and very ripe mango stand out. A refreshing and tropical flavor that will delight all who try it. How is Smoothie Auto grown? 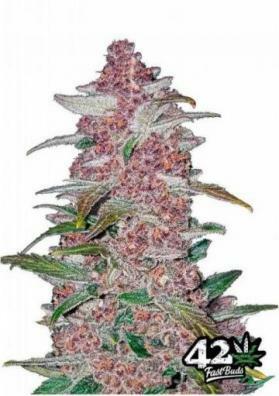 Smoothie Auto is a very compact and vigorous strain, which reaches its apex of splendor in about 63 days indoors. For this type of crops are recommended between 18 and 20 hours of light and the use of growth techniques such as Low Stress Training and SoG. Outdoors we can expect results at the end of the same 63 days with about 5 hours of direct sunlight. In any of the cases it is a strain very easy to grow. Cannabinoids: very high THC; low CBD. Height: between 80 and 110 cm. Complete Cycle: between 60 and 65 days (indoor and outdoor). Sowing: Spring to summer in outside or all the year with artificial light.